Considering that a 64-bit GDDR5 interface (Kaveri is implied to only have 2×32-bit GDDR5 channels on-die) would only offer a maximum bandwidth of 48-56GB/s, this suggests that AMD may simply wait a year for DDR4 to “catch up” rather than going to the trouble of attempting to launch a GDDR5 variant of its latest Steamroller chip though this depends on DDR4-3200 actually being available at reasonable prices in 2015. 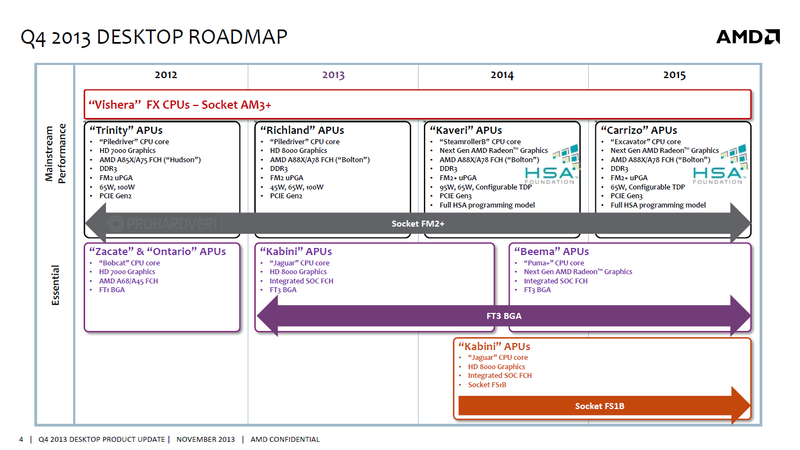 Carrizo will be AMD’s first APU to implement a full Fusion Control Hub (FCH) what we used to call a “south bridge” on-die, but it’s doing so at some cost to overall features. The FCH will be a stripped-down variant, with two SATA 6G ports, four USB 3.0 ports, and four USB 2.0 ports. This will only apply to mobile variants drop a Carrizo APU into the FM2+ socket, and the onboard FCH will disable itself while the motherboard FCH takes over. The one potential downside, if this current version of the document is accurate, is that AMD is sharply cutting the number of available PCI-Express lanes. Carrizo increases all of its general purpose lanes to PCI-Express throughput, but it cuts the number of total lanes to 16, down from 24. For those of you following along at home, that means Carrizo motherboards will be limited to a single PCI-Express x8 lane for graphics, or two lanes that are electrically x4. There won’t be any simple way for a company to dodge that limit not without implementing every other feature over alternate busses and dedicating the PCI-Express lanes solely to graphics. If that actually happens, it could hurt AMD’s status in the enthusiast community if the news isn’t managed right. The truth is, a single PCIe 3.0 lane at x8 is likely enough for any single GPU it’s only in multi-GPU configurations that such a configuration is likely to hurt. Here, AMD may simply be pragmatic not many of its APU users are likely opting for multi-GPU configurations anyway. Depending on the clock speeds and performance advantages Carrizo can hit, it simply may not make sense for Kaveri owners or FX users to consider the chip as an upgrade, while the low-power Steam Machines of the world would be perfectly happy on an x8 slot. There are a variety of other improvements to the server side, but these are the major points. 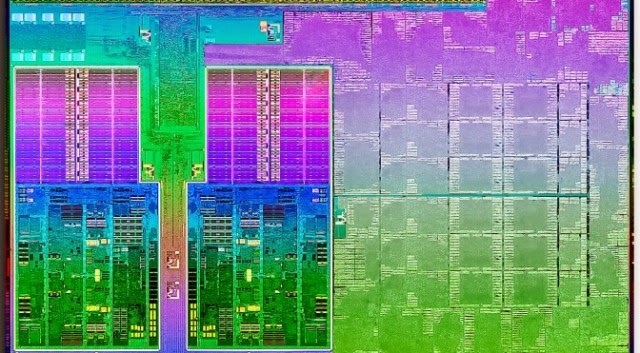 Absent more information on the GPU or CPU IPC tweaks, it’s impossible to say for certain what AMD is targeting with this chip, but my gut says Carrizo is going to continue Kaveri’s plan of targeting performance-per-watt over raw performance. 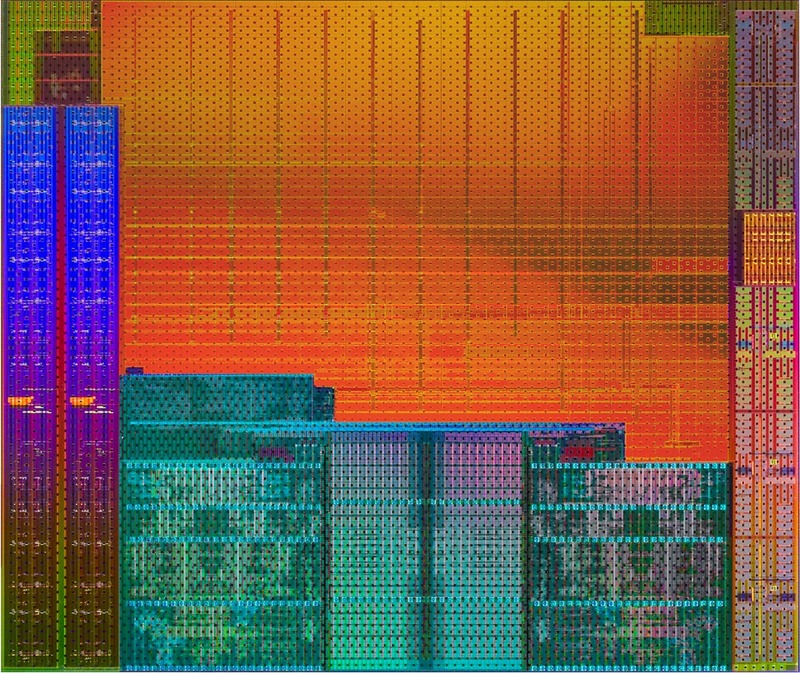 The chip is also expected to deploy HDLs (High Density Libraries) to boost the CPU’s density and reduce its die size but it’s also expected to pay a frequency penalty for doing so.